A man has been ordered to carry out 80 hours’ unpaid work at Selkirk Sheriff Court after he admitted a charge of threatening or abusive behaviour at an address in Hawick’s Wellington Court last September. 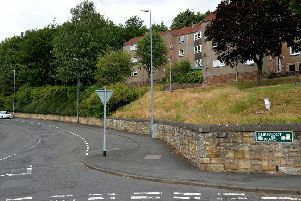 David Wotherspoon, 30, of Howdenbank, Hawick, was also found guilty of careless driving in his home town on September 6. Besides being given an unpaid work order, he had six penalty points placed on his licence and was ordered to resit his driving test.